As usual, I'm way behind in the blog. Too much work, too much fun! 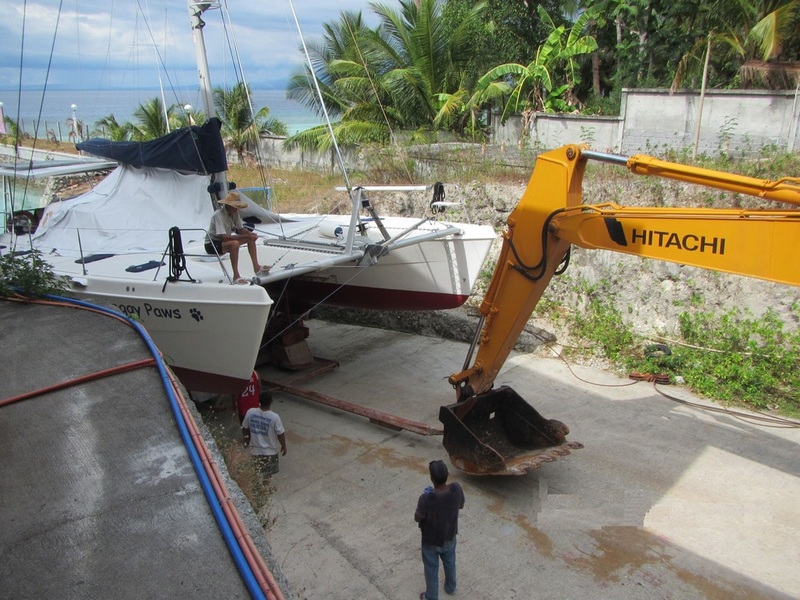 However, we did manage to extricate ourselves from the cruiser-friendly boatyard at Oceanview Marina on Samal Island. On Feb 27th, we were finally launched. Since I was onboard, we didn't get any launching pictures. The picture below was actually taken in April 2016, by a friend. 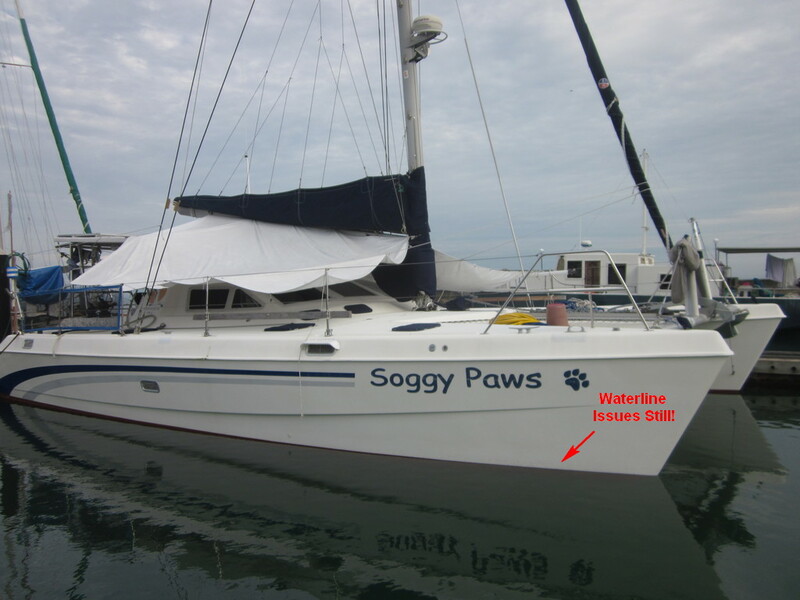 We haven't changed much on the exterior on this haulout, except to raise the waterline 2". On the Launching Ramp, Finally! We were dismayed to find that after raising our waterline by 2", we were still a bit low in the water. Later we moved a few heavy items (spare parts) from Starboard to Port and got things balanced up. Fully loaded with full fuel and water and 6 months worth of supplies, we are still a bit low in the water, but that will correct itself as we consume some of the weight. A Bit Low in the Starboard Bow! Needless to say, we are happy to be back afloat. The only remaining major project is to paint the deck. We expect to be able to complete that within the next week (weather permitting). The plan is to leave within a week or so after that for Indonesia.